Kealey, Gregory S. . "Stanley Bréhaut Ryerson". The Canadian Encyclopedia, 25 May 2018, Historica Canada. 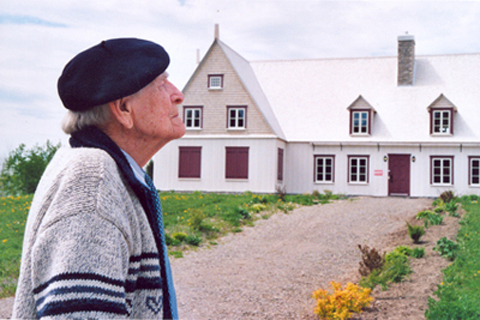 https://www.thecanadianencyclopedia.ca/en/article/stanley-brehaut-ryerson. Accessed 18 April 2019. Stanley Bréhaut Ryerson, historian, COMMUNIST PARTY OF CANADA leader (born 12 March 1911 in Toronto, ON; died 25 April 1998 in Montréal, QC). After attending Upper Canada College and University of Toronto he studied at the Sorbonne, Paris (1931-34), where he encountered European communist politics. Stanley Bréhaut Ryerson, historian, COMMUNIST PARTY OF CANADA leader (born 12 March 1911 in Toronto, ON; died 25 April 1998 in Montréal, QC). After attending Upper Canada College and University of Toronto he studied at the Sorbonne, Paris (1931-34), where he encountered European communist politics. He was a member of the Central Committee of the Communist Party of Canada 1935-69 and Québec provincial secretary 1936-40. He moved to Toronto in 1943 as the new Labour Progressive Party's education director and managing editor of its National Affairs Monthly. During the difficult Cold War years 1949-54, Ryerson was party organizational secretary. In 1959 he took responsibility for the Toronto edition of World Marxist Review, and became chairman of the Marxist Studies Centre, Toronto; he was editor of Marxist Quarterly 1961-69. Ryerson's "people's history" - The Founding of Canada: Beginnings to 1815 (1960) and Unequal Union: Confederation and the Roots of Conflict in the Canadas, 1815-1873 (1968) - is still widely read. A pioneering aspect of Ryerson's scholarship from the late 1930s has been his contribution to the Québec/Canada national debate. The entry of Warsaw Pact tanks into Czechoslovakia in 1968 precipitated Ryerson's departure from the party; he resigned in 1971. He was a member of the history department of UQAM from 1970 to 1992 and throughout the 1970s and 1980s was an important resource to a new generation of Québec and Canadian Marxist scholars.